We Are Mother Daughter is a linen label with family foundations. Carefully sourced, cut and sewn by mother-daughter duo Ruth and Grace in coastal Victoria, read on to discover more. Catch We Are Mother Daughter at our Melbourne Market, 14-16 July at the Royal Exhibition Building. We’re a mother-daughter team who started our label back in 2014. Mum was a bit tired of buying expensive linen bedding that wouldn’t last the distance and I was looking for a creative outlet, so it really was the perfect combination! 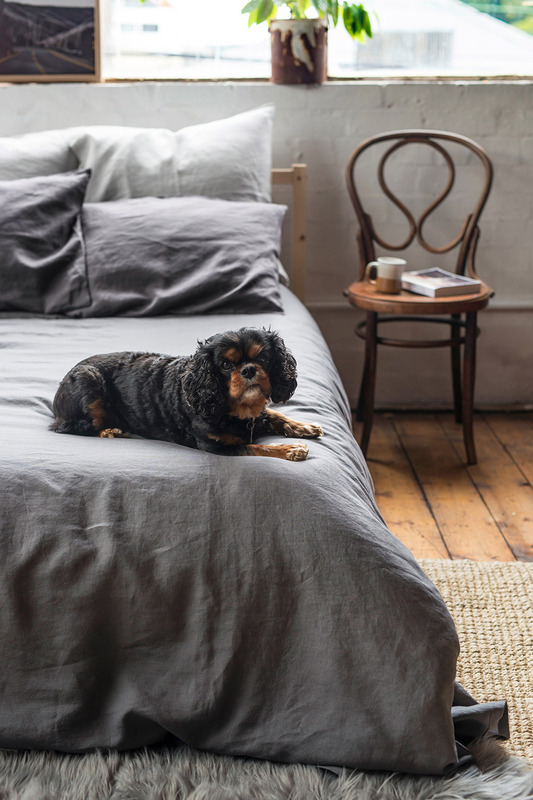 We spent six months looking all over the world for suppliers, and then another six months or so testing different sewing methods with the linen to make sure our crafts(wo)manship matched the longevity of the fabric we wanted to use. After that, we officially launched at the Finders Keepers last year and haven’t looked back! Plan! Set up your stall before you arrive to make sure it works visually – there’s a big difference between what you imagine your stall looking like and what it can look like practically. Make sure your customers can easily interact with your product without a barrier – whether that’s you standing there, or a table. Make the most of the space you’re given with backboards and shelves, with multiple layers for a better overall effect. Wear comfortable shoes (boring but effective!) and make sure you’re rugged up if you’re in Melbourne this winter! Also, get chatting with your customers, you’ll have so many people giving you on-the-spot feedback so you can also use the time for a bit of market research. But most of all, enjoy the experience, it’s a wonderful weekend and you’ll leave feeling inspired and tired in a good way! Tell us something exciting that you have planned for Mother Daughter in next 12 months. 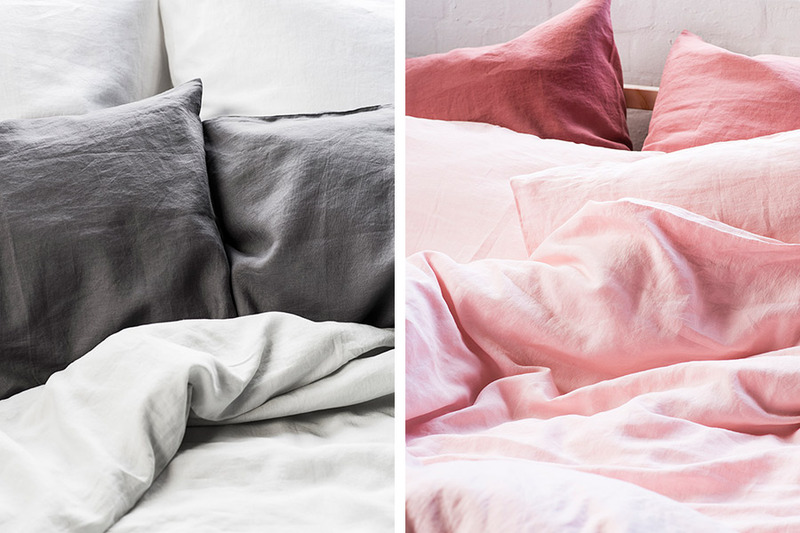 We’re actually really excited about this one – sleepwear! 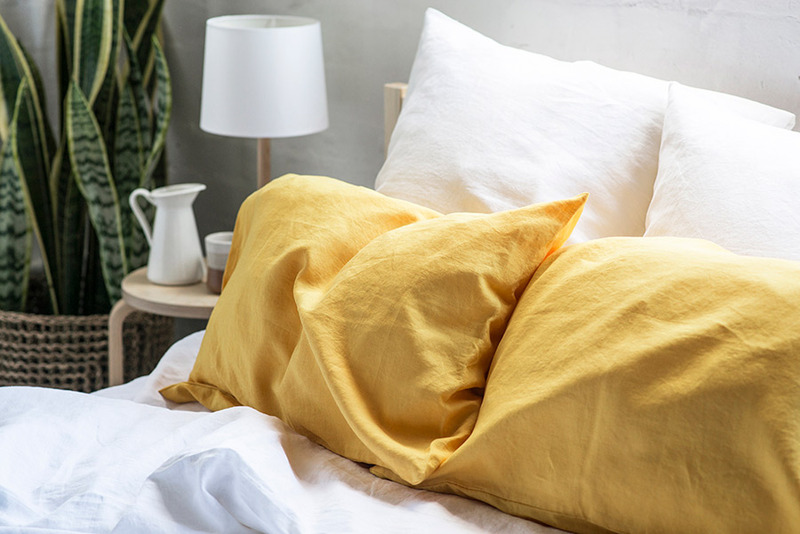 Linen is so good for your body and your sleep in so many ways (antibacterial, breathable, nice to your skin) so we thought we’d extend the range to include handmade linen pants and tops to sleep in during the warmer months. It’s all made to order as usual, so we thought it would be a nice offering to add to our collection. We’re also toying with the idea of napery (napkins and tableware) because we have so many requests for table cloths and aprons etc – but we’ll have to keep you posted on that one! Mum! She’s our number one resource, she’s the maker and I’m the marketer. She has a lifetime of knowledge (not kidding – her Nan taught her to sew when she was nine!) so she’s our go-to resource and the Queen of Quality Control when it comes to liaising with our suppliers and keeping everything in the workshop up to scratch. Meanwhile, I’ll be hammering away on the keyboard in the corner agonising over our Instagram and chatting to the press! Oooh, that’s a really tough question. 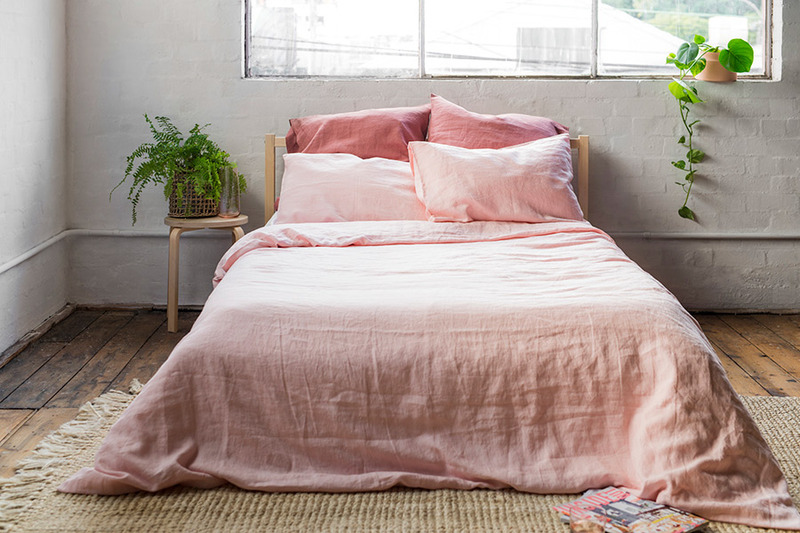 My favourite product would have to be our duvet covers, but our fitted sheets are a close second. 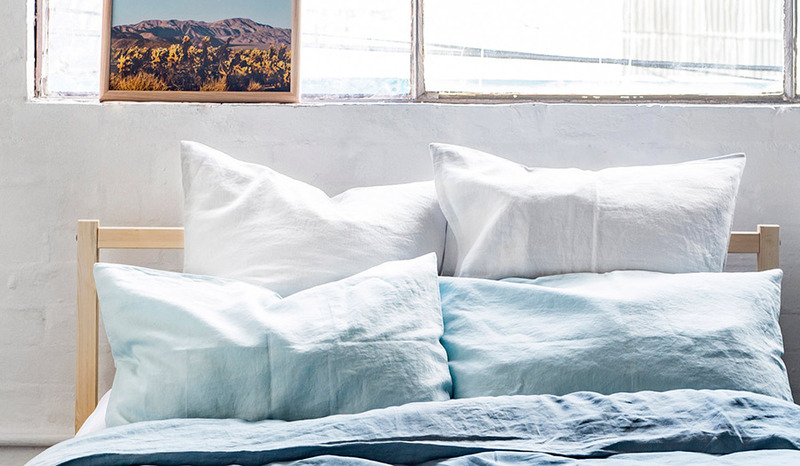 The duvets are (in my opinion) the best way to finish off the look of a room. 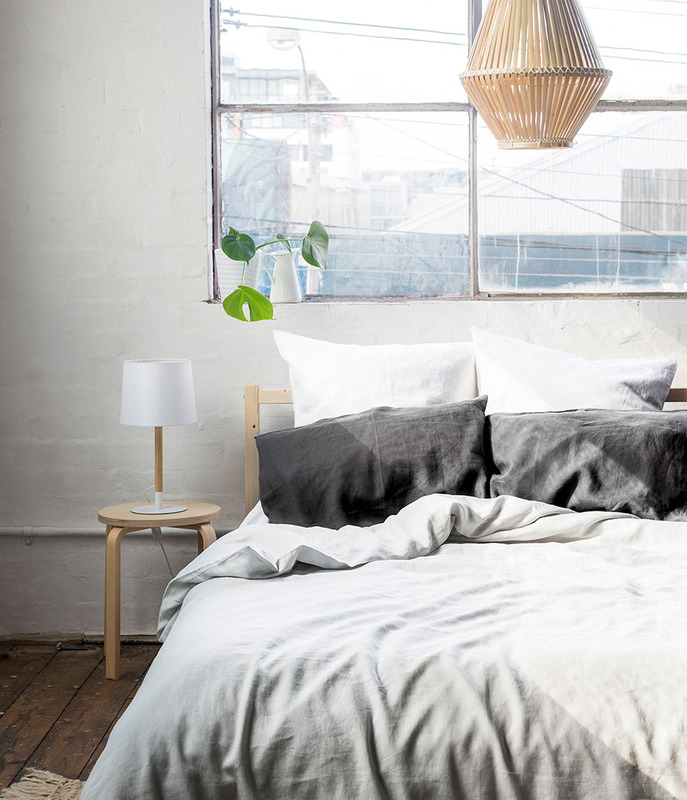 There’s something about the texture of the linen that softens a space and makes you want to dive right in at any time of day. 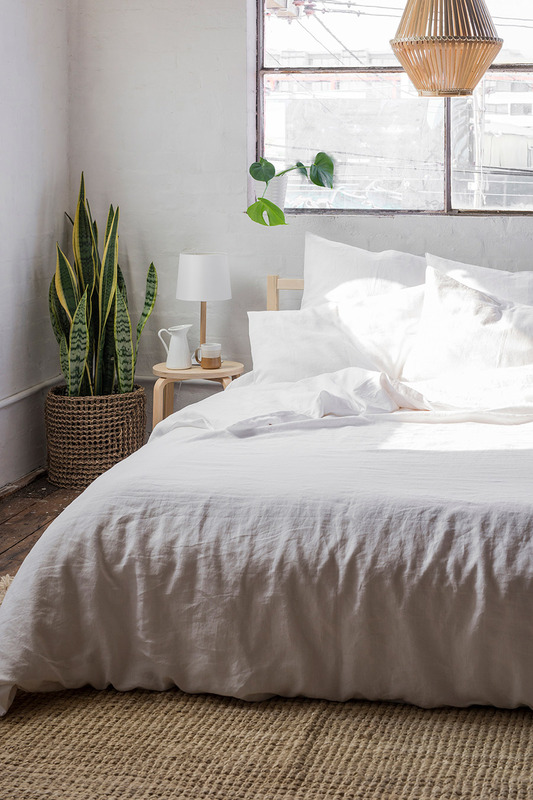 Our fitted sheets are also up there because they’re made to order for the exact dimensions of each bed, and finished with an extra thick (but stretchy) elastic so they fit super snug and don’t slide around. 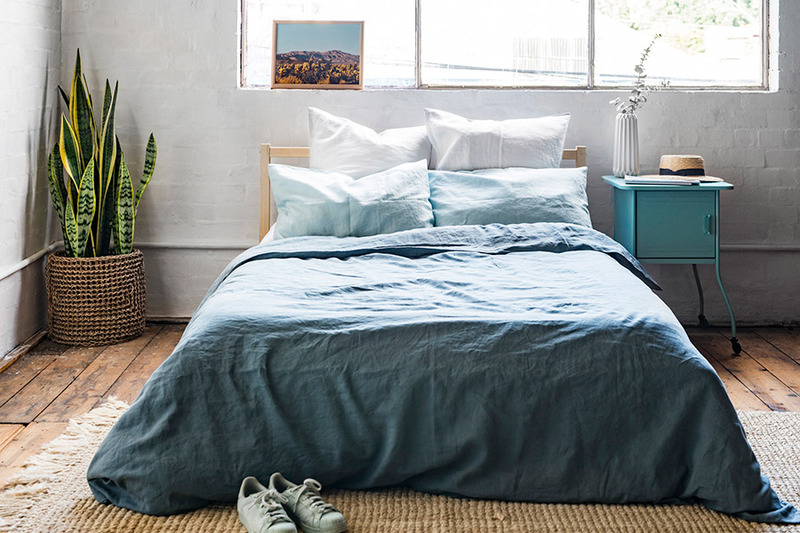 If you asked Mum this question, she’d likely say it was the flat sheets that she loves, because the weight of the linen and the long side-drop keeps them on the bed all night. As you can tell, we love our whole range!